I’ve just returned from an extremely fun few days of travelling and racing. 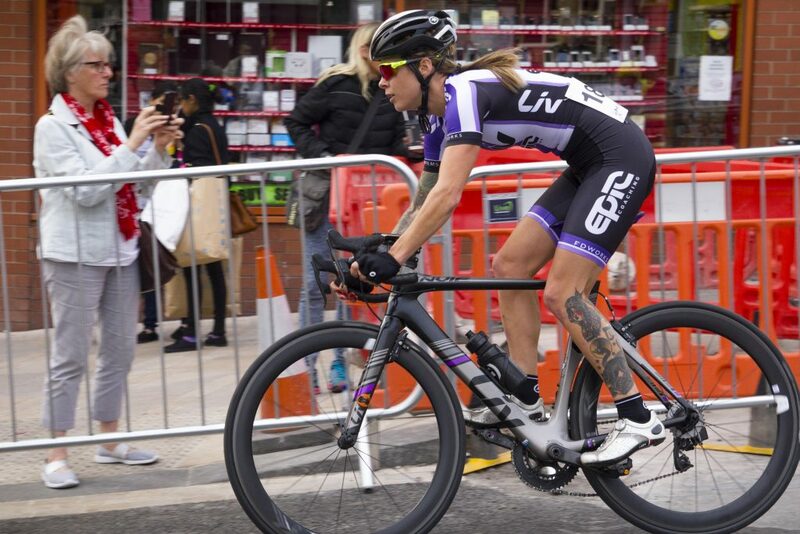 Last Thursday Dave and I set off from our home in Devon, first travelling up to Stoke-on-Trent where I raced the second round of The Tour Series as a guest of Liv CC – Epic Coaching before heading to Hamburg for Fixed Days and Waterkant Krit. If you’ve been following this blog over the years (ten years!) then you’ll know that I do not come from a road racing background so it was my first experience of racing National city centre Crit series. I can’t even begin to explain how much I loved it. 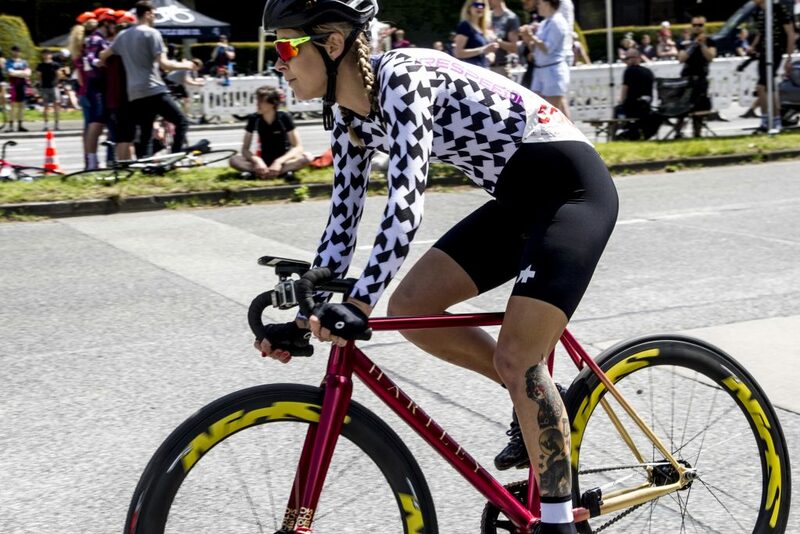 Circuit/Crit racing just really does it for me – it was racing the the Red Hook Crit on my fixed gear bike that got me hooked on racing. It’s fast, relatively short (generally around 45 minutes), technical and non-stop from the get go. It’s thrilling beyond belief. I you’d like to read more about the race, check out my event write up here. Or you could watch the video below which covers the Tour Series and the trip to Germany we I made immediately after. Having a good time in Stoke put me in a good frame of mind for racing in Hamburg – important as I’m as much governed by my mind as my body when it comes to putting in a good performance. Unlike the weekend before, I woke up feeling refreshed and enthusiastic on Saturday morning after a good nights sleep at my friend Kathi’s house in St. Pauli. 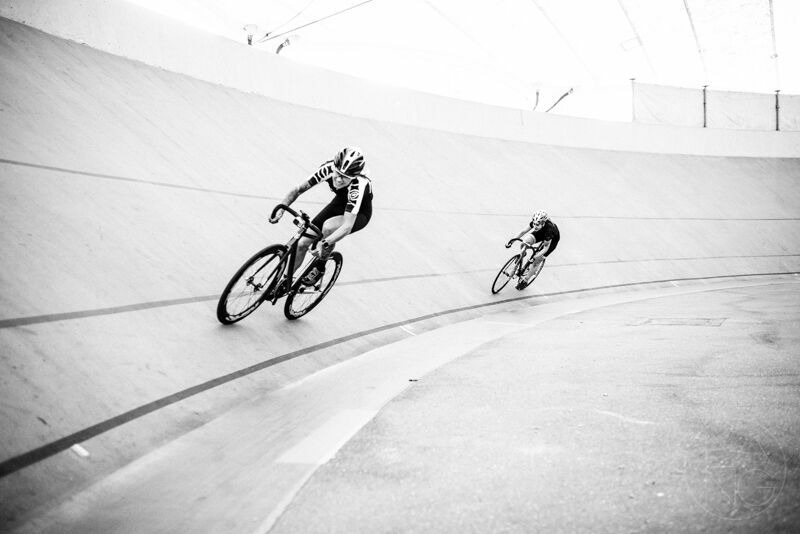 Both Dave and I were in Hamburg to compete in some of the Fixed Days events, so we packed our bags and pedalled off to the outdoor (covered) Velodrome. 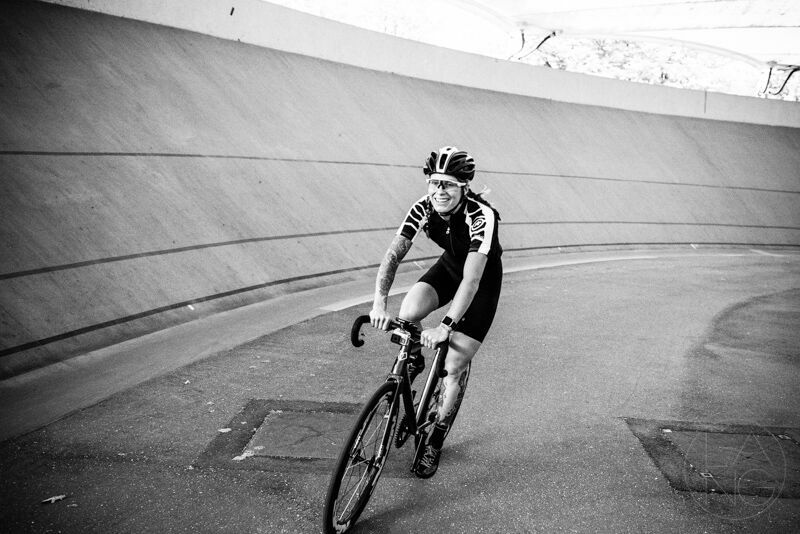 Kathi, meanwhile, joined her team Cycle Innovate for a road criterium. 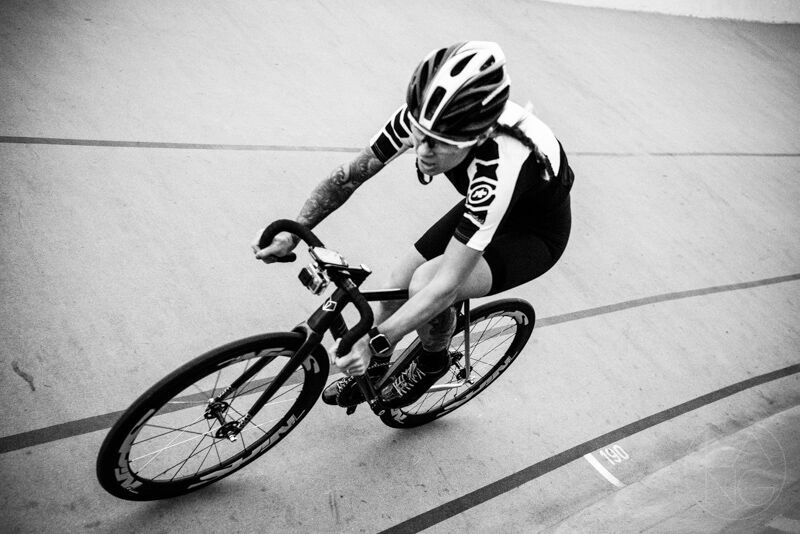 The Match Sprint is a one-on-one race run over three laps of the Velodrome. Riders start one being the other at the same point on the track then try and cross the finish line first. But of cours, it’s not that simple. It’s hard to sprint for three laps and whoever is sitting behind, in the lead rider’s wake gets a great advantage, using around 30% less energy. 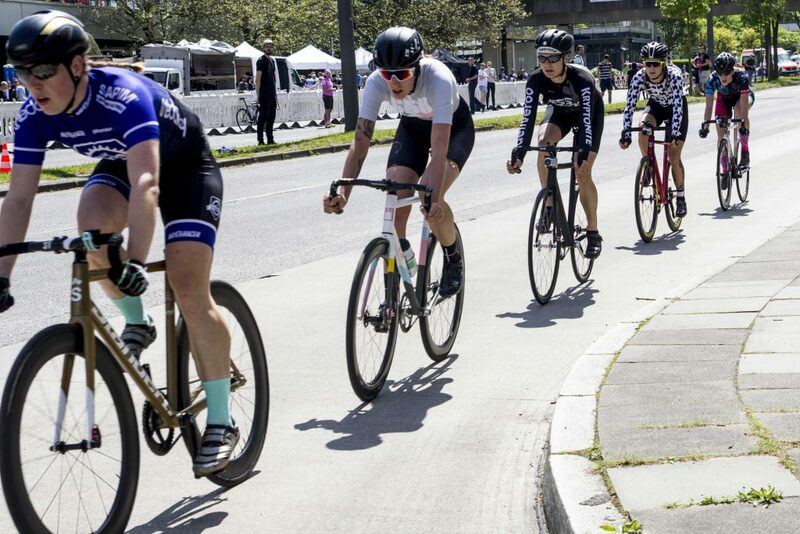 The trick, therefore, is to surprise your opponent by overtaking without them noticing so that they can’t draft you, or to dupe them into ‘leading you out,’ or going in front so that you can take advantage of aerodynamics, saving your legs until the last minute when you can sprint around them. It’s very fun, as it’s so tactical. To qualify for the Match Sprint, you generally do a flying lap of the Velodrome then you’re seeded and begin the one-on-one matches. Most matches consist of three races, so you need to beat your opponent twice to succeed. Watch what happened in Dave’s race and my own in the video below. After a fun day at the Velodrome we went for a walk in the sun, grabbed some food then went to a Polish bar where an attempt was made to get me to drink Vodka. I flat out refused as a> it’s vile and b> I was in Hamburg to race! The Waterkant Krit took place in Hamburg North, part of a series of events held over the day that included Team Time Trials and Handbike racing. As I suspected, those Match Sprints the day before hadn’t done my legs any favours so I therefore had to ride a bit of a tactical race but was happy to take 4th.